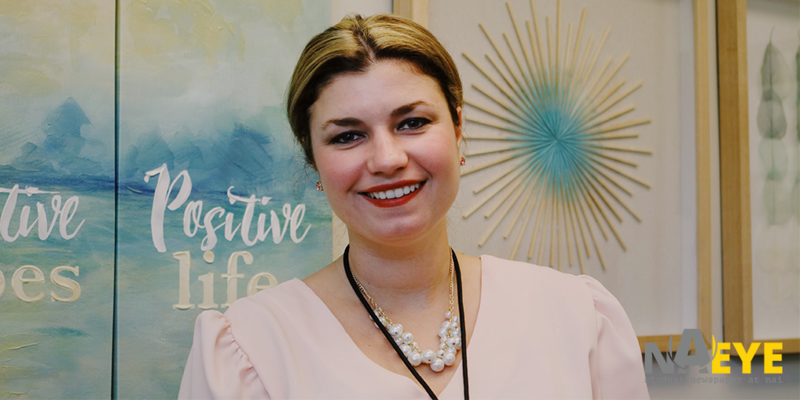 In September 2018, NAEye sat down with the newest assistant principal, Mrs. Fraser, and talked about a variety of topics. NAEye: Do you have any family? Pets? Cats? Dogs? Mrs.Fraser: My husband and I live in the area and have two Jack Russell Terriers, Honey and Bunny, a boy and a girl. NAEye: Do you have a favorite movie? Mrs. F: I would have to say, Rudy. It’s a movie about a young man who has a dream, works against the odds, and does amazing things. NAEye: What did you teach before you came to NAI? Mrs. F: I was an elementary Special Ed. Teacher. I taught everything under the sun: reading, math, science, social studies, and health. NAEye: What makes you want to get up in the morning? Mrs. F: I would say what motivates me is the atmosphere of NAI. The building, how encouraging our staff and teachers are, and knowing that our students need us to be on our A game every day. Knowing that I’m needed is a super big thing. NAEye: What is the most important goal for NAI, within the school and personally? Mrs.F: Within the school, I would say using each space in a creative and adjustable way and making sure our building is functioning. We have to examine what we have and to continue to improve. For myself, I would reassess my efforts and how I’m doing as an assistant principal. NAEye: What physical changes would you make with the building? Mrs.F: Making the most of those courtyard spaces. We have a lot of spaces that aren’t being utilized. I love the area outside the main office where kids can sit and hang out. We need more areas like that in the future. NAEye: What is your biggest responsibility as Assistant Principal? Mrs.F: The biggest responsibility across the country is student safety. That’s always something at the top of my list. Making sure that every student gets here and gets home safe and has a great learning atmosphere here. NAEye: What’s your favorite part of the job? Mrs. F: Interacting with kids. By far, my favorite part is hearing kids and seeing all the great things that they’re doing. NAEye: What is your least favorite part of the job? Mrs. F: Um… the dress code. (laughs) I see a lot of dress code violations. NAEye: Could you summarize your goal as AP? Mrs. F: When I was in my last position, I didn’t get the opportunity to get out there and hear the student’s voice, take things that they see and put it into motion. That’s my major goal. If any kids have ideas about new clubs or new ideas I’m always willing for us to get together and work something out. NAeye: Any upcoming events you’re excited for? Mrs. F: Homecoming. That’s always fun. It’s great to see kids outside of the academic scene, and just being kids. I love the activities and concerts, sports games, and kids practicing the arts. I’m always excited about whatever activities the school has to offer.